Law enforcement is an area where there is almost always a need, and even if there isn’t a need in your area, there will be one in another region. However, it can be difficult to really know where to start; that’s where I come in. If you follow these steps, you’ll get a glimpse of what you’ll likely have to do in order to get a job in law enforcement. 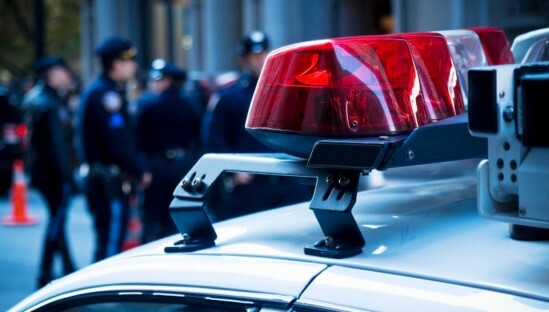 Each branch has a different application process, but for the sake of this article, I’m going to walk you through how to become a police officer because it seems to be the most common starting point for people entering law enforcement. The police entrance test (also known as the civil service test or written exam) is usually the starting point for most people desiring to become a cop. It’s also a very important phase of the hiring process, as your exam score will be used to distinguish you from the rest of potential officers who took the same test. So you really want to impress with a high mark. Your aim is not only to pass the test, but ace it with a top score! There are many ways that you can prepare for the test, but the best and most effective way is to look over a study guide beforehand. There are lots of study guides out there in the marketplace, but I personally recommend Barron’s Police Officer Exam, 9th Edition, which is one of Amazon’s best selling books. The police physical fitness test (also known as the physical agility exam) is the most physically challenging part of the selection process for many potential officers (no pun intended). I think the main reason it’s so difficult for many young recruits is that they just don’t have a clue how to prepare for it. Luckily there are some really good law enforcement sites with great tips on how to get into shape, as well as advice on how to prepare for the police ability test. If you are in great shape, give yourself a round of applause as research has shown that police applicants are having a tough time passing the test. Even more alarming is that some agencies are lower their fitness standards to avoid litigation. If you’re one of those struggling to get in shape, this well known e-book, pass the police fitness test is a great resource that can properly train you for the specifics of the fitness test, as well as providing applicants an in-dept workout plan to help you pass the test. Th police officer panel interview can be difficult, especially if you’re not a public speaker. The trick is really just to know your stuff. Be prepared for common police interview questions that could be asked, and be ready to give an answer that is clear and well-spoken. There are many websites that offer possible questions that could be asked, but many of these so called expert sites are usually trying to push an outrageously expensive product. That’s why I’ve written an in-dept article on how to pass the police oral board. Visit the link to read the article, and then leave your feedback so other readers can benefit from it. The easiest way to pass the background investigation is to make sure you have nothing to hide. However, if you weren’t a perfect angel, I would suggest that you be honest about your past. The worst thing that can happen is that you seem like you are hiding something. Police officers are supposed to be trusted, so prove that despite your past, you will be a trustworthy member of the agency you are targeting as your potential employer. Th police polygraph test is the part where your Background Investigation becomes real. Again, the easiest way to pass it is not to lie. However, even if you are telling the truth, you’d want to show that you aren’t nervous. There are many ways that people try to cheat the test. Let me be the first to tell you, cheating doesn’t work, the examiners are trained in these tactics. The outcome is too severe from immediate disqualification, and worse getting blacklisted by agencies all over the country. The penalty for cheating is too harsh, therefore stay clear of websites that teaches ways to cheat the polygraph. Again, being prepared is the best solution. If you wanted to see possible questions that you’ll likely be asked, I’d review a pre employment polygraph questionnaire because they are the best indicators of what the examiner will ask you. If you’d like to know the history of the lie detector test, and how it came to be, as well as getting a better sense of polygraph techniques, the website http://polygraph.org is filled with information that will explain the process and hopefully calm your nerves. Once you’ve passed all of your other tests, you come to the psychological exam. I tell people all the time that the rest of the tests are about your past, but this one is about your future. This assessment is to ensure that you will be able to deal with the daily grind of police work; the last thing an agency wants is a uniformed officer with a gun losing their mind. Again, be calm and truthful, and you will be successful. The law enforcement academy is where it all comes together. You’ve passed all the exams – welcome to the Academy. This does not mean you are guaranteed to be a police officer, but you are close. The worst thing that could happen is to lose out on your dream now. I think that the academy is really the most difficult part because it is basically all of the elements you have been tested on combined. You need to be prepared specifically for the police academy’s course load, as well as the physical grind you’ll encounter. So in a nutshell, arrive at the academy in shape because if you don’t, you’ll likely fail. If you are looking for a good overview of what academy will be like, there is a great article on how to prepare for the police academy. Now, I realize that not everyone wants to be a police officer. There are many other areas where law enforcement officers are needed. One area that is constantly in need of more officers is corrections. These application processes can be a bit like the police process, but do have some differences that should be looked at. 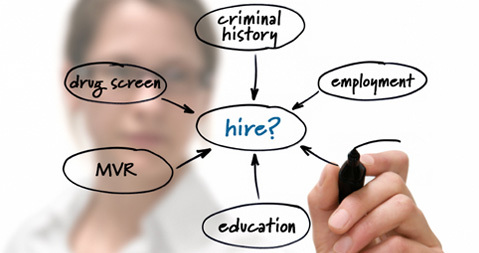 If you want more information about the Correctional Officer Interview, you can find it here. There are also some differences in the exam, but not a lot. I also wrote a great article on the correctional officer test. Go check it out if you’re interested in one day becoming a prison guard, jailer or detention officer. 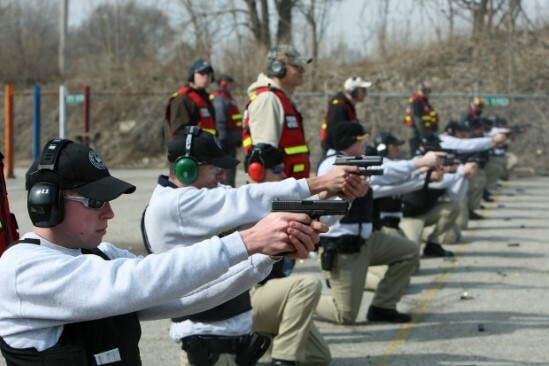 Field Training Program (FTO) – What To Expect? After you’ve successfully completed your training at the law enforcement academy you will be paired with a field training officer (also known as FTO). Think of it as your probationary on the job training phase. Unlike the police academy where everything is usually simulated in a controlled environment the FTO program is not. You will be expected to apply in real-time everything that you’ve learned at the academy. For one reason or another a lot of rookie officers fail the field training evaluation Program. Many times they fail to apply the techniques taught at the academy when dealing with real world situations. Others fail because of the level of stress pressed on them by their training officer. The FTO phase of your training is usually 16-26 weeks long depending on the agency. The bigger the agency the more spread out, and lengthy your training will be. Expect to deal with a lot of moody FTO’s who aren’t the most patient people in the world. Don’t act like a know it all, you will only cause a rift if you do. I know that it can be rough getting into law enforcement, but if it was easy, everyone would do it. If you want to be a police officer, then put the work in to get there. It isn’t an easy job to do, so why would it be easy to get into? It’s not impossible though, so be prepared and approach the application process with confidence because you know that you can do it. As mentioned in the beginning of the article, the selection process to become a police officer varies from agency to agency, and state by state. We’ve outlined the requirements by state below.